Serve sides and desserts in style at your catering event or party using this Platter Pleasers 75 oz. trifle bowl. This trifle bowl is made out of premium, quality hard plastic / polystyrene that is sturdy and durable. 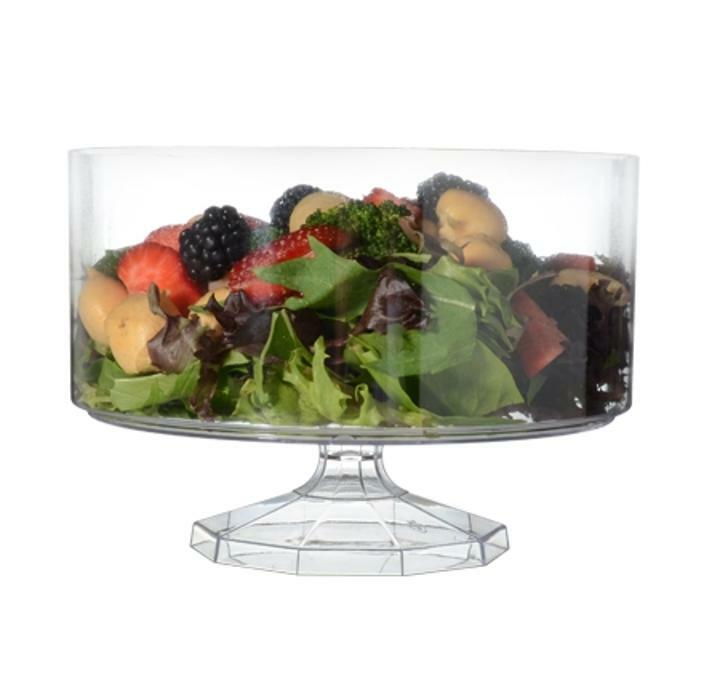 From salads to chips, this trifle bowl will be the ideal presentation piece for any meal or celebration! Plus, this one-piece, disposable bowl will help make clean-up a breeze, eliminating the need to wash and scrub. Just use the bowl, and toss it when you're done! It's that easy! Dimensions: 7.5" x 5" total height; Bowl height 3 1/4"